Do you long to meet exciting new people without hanging out at the bar or hoping for the best when family and friends fix you up? Why not try a cruise and explore love the way nature tells it? There are cruises especially designed for singles with organized cocktail parties, games, group dynamics, one-on-one dining and access to their singles chat site where you can get to know other singles. When you participate in the activities, you are sure to meet new people and perhaps even a partner for the future. You just need to put off your hesitation and actively participate in the process. Romance blooms in the most unexpected places. You could sail from Venice Italy to Bari, Italy, or Santorini, Mykonos and Corfu Greece and Dubrovnik Croatia. These cruises generally cost from about $1,600. For $1,990 or more, you could join a singles cruise to Hawaii, sailing from Honolulu to Kauai to Maui. These are some of the least expensive cruises, about $750 or more, sailing to some marvelous Western Caribbean islands. Cruises for singles were created to cater to the needs of the single community. Not only will you enjoy socializing activities but single cruises also prepare activities that would enhance skills like teamwork, self-confidence and establishing good intrapersonal relationships. 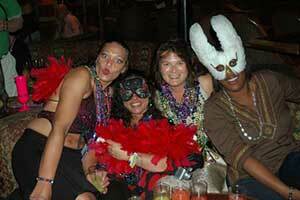 Professional cruise directors organize these activities and are available to guarantee you have a good time. Deposits for crusies commonly range from $250-$300 and all are charged according to double occupancy. Most singles cruises can help you find a suitable roommate if you’re traveling alone. Most people joining singles cruises are working professionals from mid 20s to mid 60s. They are there to have fun and perhaps meet that special someone on board. This is a way of traveling and finding love, both at the same time.